There are three reasons I travel to Stoke every year for the pantomime at the Regent. The first is Jonathan Wilkes, the local lad made good (never mind Robbie Whatsisname). He headlines (this year as ‘Muddles’) and from the reception he gets on his first entrance, it is clear they adore him here. It’s easy to see why, considering his cheeky persona, boyish good looks and pop-star singing voice. He also co-directs and over the years has developed into something of a leading light in pantomime. He may be playing to his home audience but, speaking as an ‘outsider’, I think he’d be a crowd-pleaser in any theatre. Reason number two is Wilkes’s co-director and partner-in-panto, the ebullient Christian Patterson. More often than not, Patterson is in the cross-dressing role but in this show, there is nothing like a dame. This time he is Herman, henchman to the Wicked Queen. He is clearly a master of the genre and seeks to make his co-stars corpse through unexpected deviations and improvisations. In a lesser performer this might come across as self-indulgent but Patterson pitches it exactly right so that we are always in on his jokes and have as much fun as he’s having. The third reason is the script by panto-god Eric Potts. In command of the form, Potts crams the dialogue with quick-fire gags, good and bad. He sticks to the plot but is skilful enough to incorporate a few surprises to keep things fresh. In this version, he dispenses with the usual scene of the dwarfs returning to the cottage to find the fugitive princess asleep on their beds. Instead, they rescue her from a zombie attack to the tune of Michael Jackson’s Thriller. It’s bonkers but it works. Potts knows not to make too many changes; the iconic scene in which Snow White accepts the poisoned apple gets the kiddies screaming. As it should. The humour is never far from the toilet. This is unpretentious fare although the skills on display are deceptively sophisticated. It takes a lot of hard work to make something appear so joyously shambolic. Potts brings Snow White to the fore. Played to the hilt by the winsome Katie Elin-Salt, she interacts with the audience and, at the denouement, is assertive in the face of the wicked Queen (a deliciously evil Debbie Chapman). There is strong support from Jamie Tyler’s Prince and Phil Holden as dwarf leader, Prof. But the show is stolen by an adorable turn from Paddy Holden as the silent Loopy. This version allows the title characters plenty of stage time –it’s remarkable how in others they can be marginalised. My top tip to you is if the poster for the panto doesn’t feature the eponymous characters, watch out! It may not have the biggest budget but this Snow White is rich in fun and heart, successfully blending traditional elements with contemporary references. I will definitely be back next year. 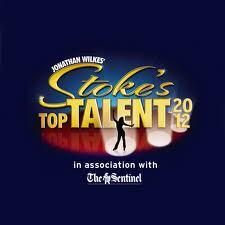 A few months ago, I attended the final of Stoke’s Top Talent, a local contest for local people. The winner, Carrie-Ann Williams, won a part in the pantomime. Not just a walk-on and five minutes in the spotlight but a fully integrated role. And so, there she is, opening the show as the Fairy Godmother, speaking in thankless rhyming couplets and wafting her wand about. Although still studying, Williams fits into the cast of professionals seamlessly. She gets to extend her acting experience, when the Fairy Godmother goes in disguise as an old beggar woman, searching for firewood, but, of course, she is also allowed to do what she does best and show us why she, rightfully won the talent contest. She closes the first act with her rendition of Nessun Dorma; this is no less incongruous than some of the pop songs we are subjected to, and, when the flying horse lifts Cinderella’s carriage out of the dry ice and the aria surges to its climax, it is truly spine-tingling. It is heartening to see the contest organisers following through on their promise. 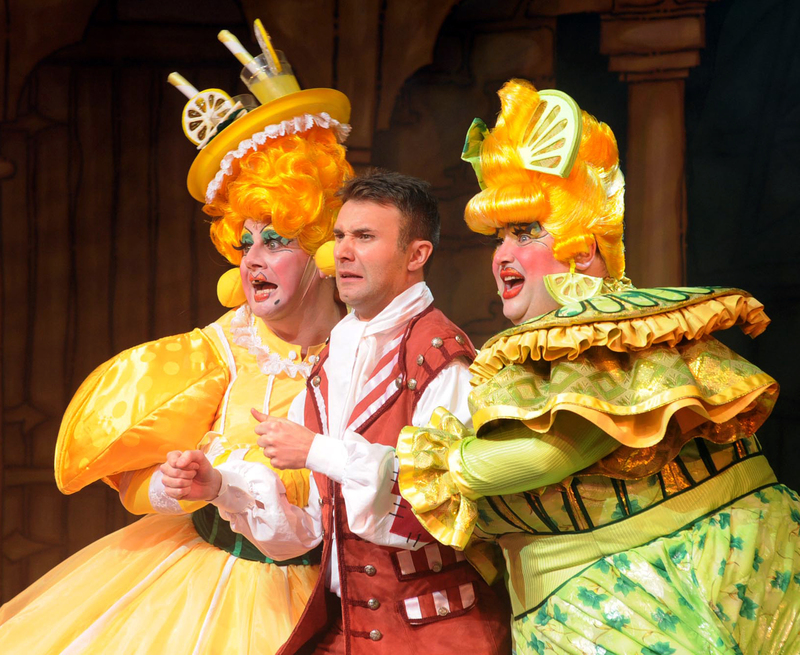 The panto belongs to Jonathan Wilkes, local hero. He co-directs as well as dominating the action as Buttons; camp and cheeky bordering on puerile, Wilkes is an energetic presence, thoroughly at home in this genre and, indeed, this venue. He can do no wrong with this crowd and it is easy to see why. Tall, good-looking with a pleasant, old school pop-singer voice, Wilkes rules the roost. He is supported by his co-director Christian Patterson as ugly sister Stacey – these two are clearly on the same wavelength and are enjoying themselves as much as the audience – and Torchwood’s Kai Owen as Nessa, Stacey’s equally obnoxious sibling. As you’d expect the costumes and the banter are outrageous. There is an emphasis on toilet humour and physical comedy, peppered with local namedropping and pop culture references. It’s knockabout fun, perhaps slapdash on the surface, but Wilkes and Patterson know exactly what they’re doing. Eric Potts’s script focuses on the comedy. The jokes are quick fire and relentless, old, new, borrowed and blue, but Potts is also an advocate of the traditional pantomime routines, and so we get “Who’s in first” and “Busy Bee, Busy Bee” – the first a dazzling example of cross-talk, the second hilarious slapstick that still works brilliantly. Rebecca Lisewski’s Cinderella is confidant rather than hard-done by, with a strong singing voice. Her duets with Jonathan Bremner’s dashing Prince Charming blend their voices well, although I found the choice of Katy Perry’s Firework a little jarring. I guess I’ve never felt like a plastic bag. Jamie Tyler’s Dandini is an enthusiastic, upper-class twit, mugging and girning like a cartoon character, keeping the energy levels high in scenes that are basically exposition and Ian Redford’s Baron Hardup is a bumbling drunkard, ably supporting the shenanigans – he could be given more to do. The show is thoroughly enjoyable from start to finish, managing to be up-to-date and traditional at the same time. Of all I have seen this season, this panto has the strongest local feel, which is encouraging to see in a venue that is part of a national chain. Wilkes, Patterson and Potts deliver the goods and pack the house. The management must be stoked.